Long Realty Company is pleased to welcome back Randy Sweaney to the Houghton/Southeast/Vail office, located at 10222 E. Rita Road, Suite 170, after previously working for Long Realty in 1992. “At Long Realty, they give us the flexibility and the tools to maintain our own business, as well as the potential to succeed. Opportunities to learn and grow here are abounding, and Long Realty’s dedication to both their employees and their customers make them a winning real estate company to work for,” said Randy Sweaney, Long Realty agent. “Randy has the drive to succeed in this industry. His hard work ethic and devotion to his business are illustrated by regularly going to real estate seminars, training classes, marketing and sales classes. His real estate knowledge and experience propels him to strong professional relationships with his customers,” said Ken Ryan, Branch Manager of the Houghton/Southeast/Vail office. Randy is originally from Eureka, California. He received his California realtor’s license in 1987 and his Arizona realtor’s license after he moved to Tucson in 1992. 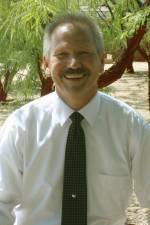 He has expert knowledge of Rita Ranch and southeast Tucson. He is married to Jean Mabry, fellow Long Realty agent, and they have four grown children. He is a mentor and enjoys being involved at Pantano Christian Church. For more information about Long Realty, visit www.LongRealty.com. Contact Randy Sweaney at RandySweaney@LongRealty.com or (520) 603-8500. Share the post "Long Realty Welcomes Randy Sweaney to Houghton/Southeast/Vail Office"
This entry was posted in Long Realty Company, New Agents Joining Long Realty. Bookmark the permalink.